It wont be too long until we have our feet up in front of the TV watching Home Alone and eating far too many crisps. To keep us busy until then, we have a ton of great projects lined up. Read about what we have been up to below, as well as what we will be working on in December and early 2012. We launched Studacity in mid-November. 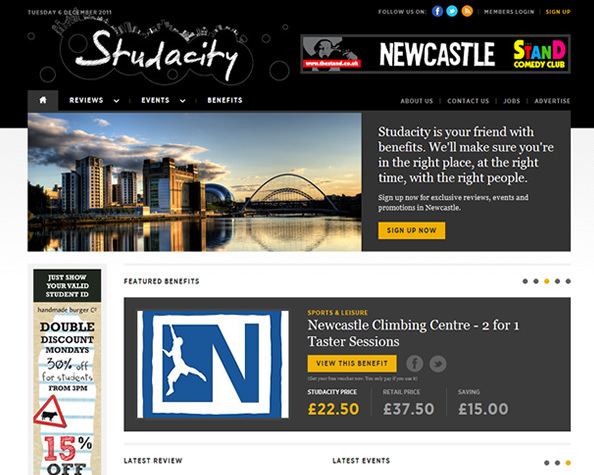 Studacity’s main goal is to help Newcastle upon Tyne’s student population find the very best deals, event and venues. With a focus on quality, Studacity will be offering insight into the best the city has to offer, allowing exclusive access to the best promotions around. 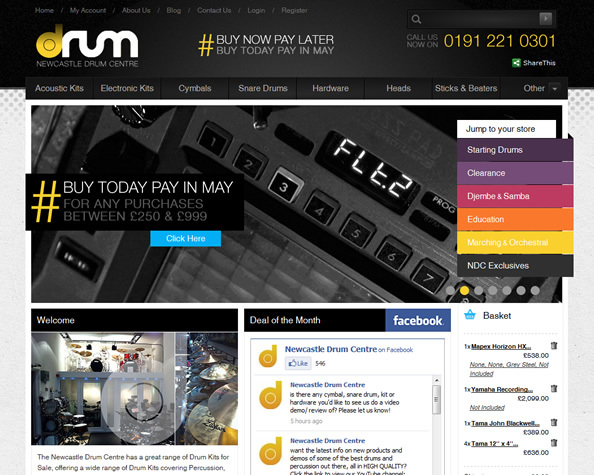 We have been working with the Newcastle Drum Centre on their new website since the summer, and we’re delighted to see it up and running. The website massively improves on the previous version, with emphasis on unique kits and the massive range of items that the centre stocks. We recently helped Parkdean launch a new homepage and park homepage design, which reflects the diversity they offer throughout their 24 parks. The new updates sit alongside Parkdean’s new sales brochure, which you can request by clicking here. 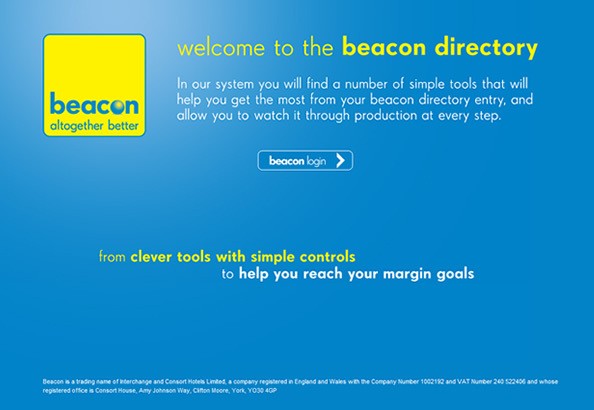 The beacon directory is an online system we created which makes it easy for beacon to collect the data they require for their annual supplier directory. Formerly a manual process, the system makes it easy for users to log in, submit content and have it approved or amended by the beacon team. 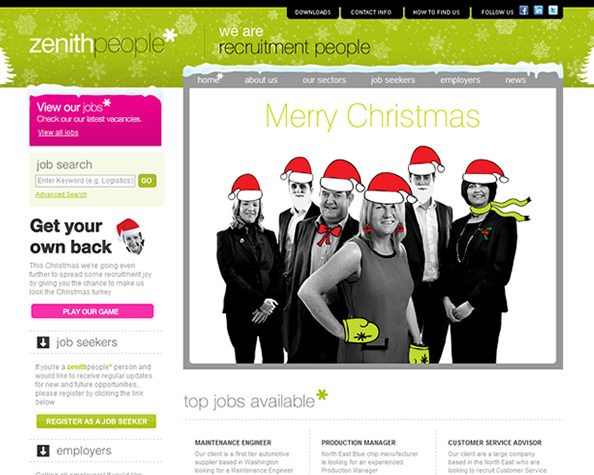 As part of Zenith People’s Christmas campaign, the team wanted the website’s users to get into a festive spirit. We have created a themed header and a festive game for users to get their own back on those pesky recruitment agents. Startown is one of the most exciting projects we have worked on all year and is packed with bespoke games, activities and content. We’re busy making sure everything looks perfect for launch, but we cant wait to get the project live and onto our website. 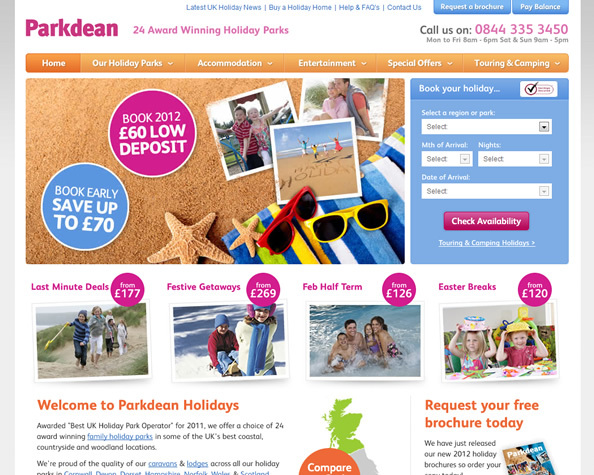 In another project for Parkdean, we will be helping the company redesign their Holiday Homes website in early 2012. We have recently presented visuals and begun deciding on the main functionality of the website. An exciting one for us to start the new year with. We have worked with VLS throughout 2011, helping to create a customer-facing area that has transformed the way they interact with their users. Having recently completed another large round of updates, we are in the process of discussing the next stage of work that will take us well into the first quarter of 2012. Since opening in August, Hoochie Coochie has established itself as one of Newcastle’s best nightspots. It’s mix of live music and luxurious surroundings has been a hit with music fans of all ages. We have recently been working on some updates to the website, launching a brand new members section, which allows users to become part of Hoochie Coochie and guarantee entry for its most exclusive nights. Although we cant show any of the functionality that lies behind the front-end, the Citrus system has been an ongoing project for us in 2011, with constant additions helping to shape the way the Citrus team work. We have recently been helping the team extend the functionality of their booking system, as well as discussing work for early 2012. Gainford Care Homes was established in 1995, and currently runs thirteen care homes in the North of England. We are well into the development stage on the project, and hope to go live sometime in December. We’re working with Choccards on a brand new website to promote their personalised chocolate bars, including a design tool to help you create your own designs. More news on this project in the new year. We have been commissioned by this leading north east training consultancy to develop a new CMS website for the business, promoting the wide range of health and safety, food safety and first aid courses they deliver across the UK and internationally.